Does more “sophisticated” analytics for sales resource allocation truly drive better brand performance? The industry uses a broad range of approaches today for customer valuation, promotion response analytics and sales force resource allocation. With the increasing complexities in the marketplace and availability of richer data, there has also been continuous innovation in analytical methodologies for resource allocation. On one end of the spectrum is simple economic valuation, resource allocation based on product/market prescription volume & business rules. At the other end of the complexity spectrum is deriving customer valuation based on patient data analytics, promotion response methodologies that incorporate IDN/Payer influence etc. Stop by during the lunch session at PMSA to learn more about the resource allocation methodologies and automated tools that can work in favor of your business performance. Charlie has 25+ years of experience in health care, financial services and management consulting. He has a blend of marketing, financial and operating experience, especially in the development of technology and analytical intellectual property to find, win, keep and grow profitable customers. Life Science expertise includes medical devices, diagnostics, pharma/biotech, managed care. Amit has over 5 years of experience in Healthcare domain. He has consulted multiple large and mid-sized pharma companies in US in areas of Sales and Marketing analytics and financial analysis. His areas of expertise include segmentation, promotion response modeling, targeting, alignments and incentive compensation. 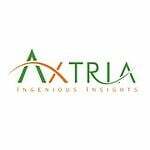 Click here to learn more about Axtria’s participation in PMSA Annual Conference 2016!